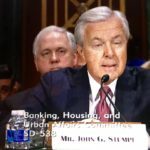 “A lot of us are worried that perhaps there’s similar goings-on in other banks.” Those words were spoken by Senate Banking Committee Chairman Richard Shelby at a hearing this week to look into how Wells Fargo managed to open a couple million accounts for customer without their knowledge. Called cross-selling, the violation may not seem like a big deal to some. Even applying for a credit card account could affect one’s credit score, however. And some folks found themselves saddled with late fees too. 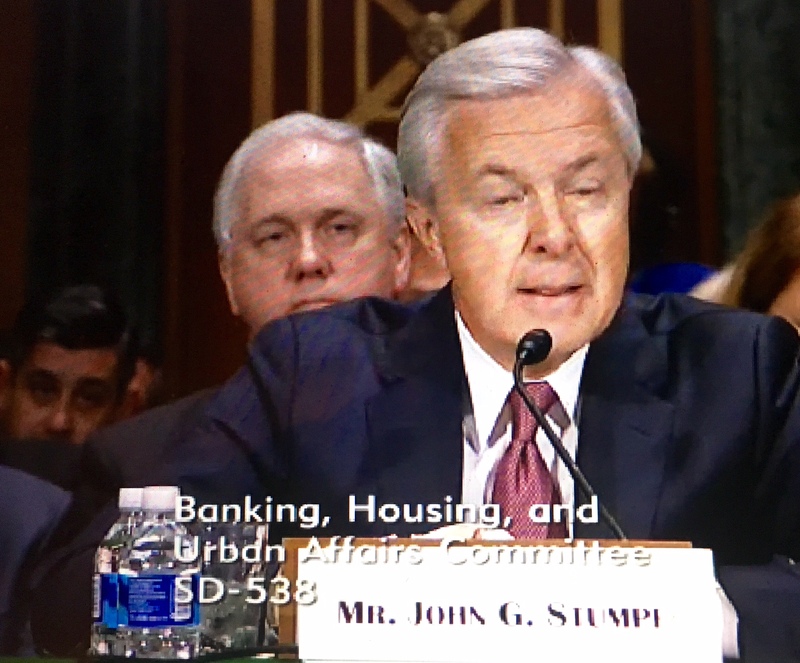 During the hearing, Wells Fargo CEO John Stumf told lawmakers that Wells Fargo was “already taking steps” to insure that the bank’s sales culture is now aligned with customers’ best interests. Our question is why did it take the bank 164 years to figure this out (The bank was founded in 1852.) Also on our minds is whether we can even trust the bank? This is the same bank that has paid out billions of dollars in fines in recent years and with no apparent improvement of their behavior. Stumf blamed the fraud on rogue employees but Sen. Pat Toomey (R. Pennsylvania) took exception to that argument. He says it defied logic that thousands of bank employees could all simultaneously engage in the same type fraud without their being some orchestration or complicity by management. Sen Elizabeth Warren (D. Massachusetts) was more blunt in her criticism. She openly blasted Stumf for not firing a single senior manager, for blaming rank and file workers and for not returning a nickel of his $19 million annual compensation. Regulators zinged Wells Fargo with $185 million in fines but that isn’t the end of things. In fact, there could be criminal referrals next. What concerns us, lawmakers and regulators is whether other banks are also guilty of cross-selling. During the hearing, the Comptroller of the Currency said his agency was going to begin reviewing both cross-selling and incentive compensation practices. The Consumer Financial Protection Board (CFPB) is eyeing both cross sales and credit add-ons. In fact, the CFPB thinks the industry is rife with fraud. Compliance officers, managers, customer service reps and tellers are all eligible for awards if they possess information about individuals who are engaged in misconduct against banks or within banks. To better understand these awards, some brief history is needed. Shortly after the savings and loan crisis, Congress passed FIRREA – the Financial Institutions Reform, Recovery and Enforcement Act. FIRREA was originally applied to people who took actions that could threaten the stability of individual banks. For example, a bank president who stole from the bank could be prosecuted under FIRREA. In recent years, however, the law has been applied to allow prosecutors to pursue the banks themselves that engage in misconduct. Because the FDIC insures banks, the government wants to insure that banks remain financially stable. The mass defrauding of customers threatens that stability. To provide an incentive to whistleblowers to step forward and report banking misconduct, FIRREA allows whistleblowers to receive an award of up to $1.6 million. There is also a good chance that your name and status as a whistleblower can be protected from disclosure. The cross-selling allegations against Wells Fargo began to surface after the company began firing so many people. We suspect, however, that the same behavior is going on in other financial institutions. This includes offering overpriced products such as credit life insurance and other so-called credit add-ons. If you have original source (inside) information about illegal banking practices, give us a call. Our bank employee whistleblowers have received over $100 million in awards. You could be next.